Labour leader Ed Miliband is hoping to spark a revolt against the "Big Six" energy firms after a series of huge price rises for gas and electricity. Mr Miliband is believed to be hoping to capitalise on the recent public outcry against Rupert Murdoch by encouraging a consumer revolution over energy bills. The Big Six currently provide energy to 99% of homes and businesses in Britain - a market dominance which Labour wants to see broken up. Ofgem, the Government energy watchdog, is already investigating the Big Six over various apparent problems, including the complexity of energy tariffs, alleged door-to-door mis-selling and allegations of price-fixing. But Labour leader Mr Miliband wants the public to take matters into their own hands, and vote out the Big Six by switching energy suppliers. Labour's deputy leader, Harriet Harman, told the Daily Mirror: "If public interest can override a billionaire, perhaps it's the same for energy firms." Labour said they will launch a campaign this summer which aims to break up the Big Six - EDF Energy, Scottish and Southern Energy, Scottish Power, Npower, E.ON and British Gas - to make the UK's energy market more competitive. 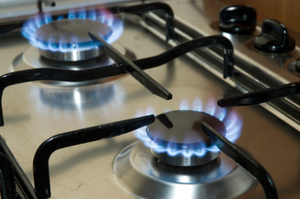 Last week, Centrica, which owns British Gas, announced huge price rises despite posting profits of Â£1.3 billion.